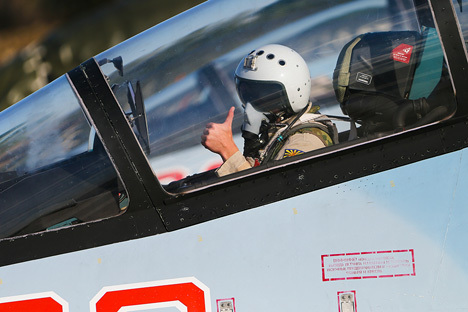 Navigator from Su-24 brought to Syrian airbase safe and sound. Russian and Syrian special task forces conducted a 12-hour military rescue operation on Nov. 24 to rescue the navigator from a Sukhoi Su-24 aircraft shot down over Syrian territory, Russian Defense Minister Army Gen. Sergei Shoigu said at a Defense Ministry board meeting on Nov. 25. "The operation has ended successfully. The navigator has been brought to our base. He is safe and sound," Shoigu said. "I would like to thank all our guys who worked all night at huge risk," he said. "They finished this work at 3:40 a.m. Moscow time," he said. "I reported the successful completion of the operation to the commander-in-chief. He asked me to pass his words of gratitude to the entire personnel who took part in this operation," he said.